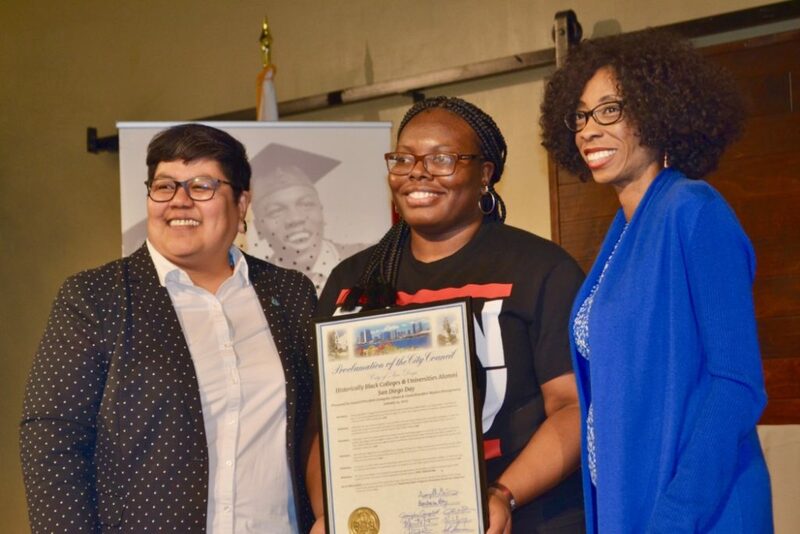 Chaunteal Webb-Candler, Founder, presented with Proclamation from City of San Diego, January 19, 2019. Left – Council President Georgette Gomez and right, 4th district Councilmember Monica Montgomery. 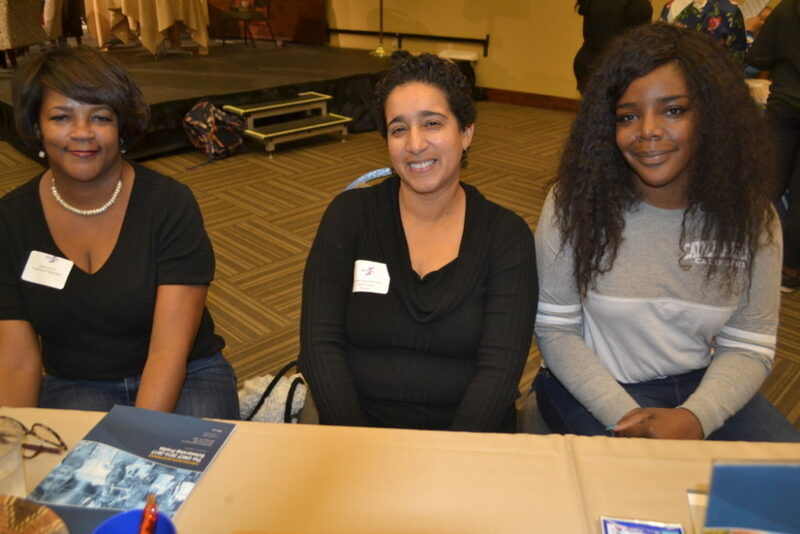 HBCU Alumni San Diego hosted its 5th annual college expo on January 19, to a packed house at the Jacobs Center for Neighborhood Innovation. What was most notable about this years event, was that parents brought their children as young as elementary school out to get a head start on receiving important information on colleges. 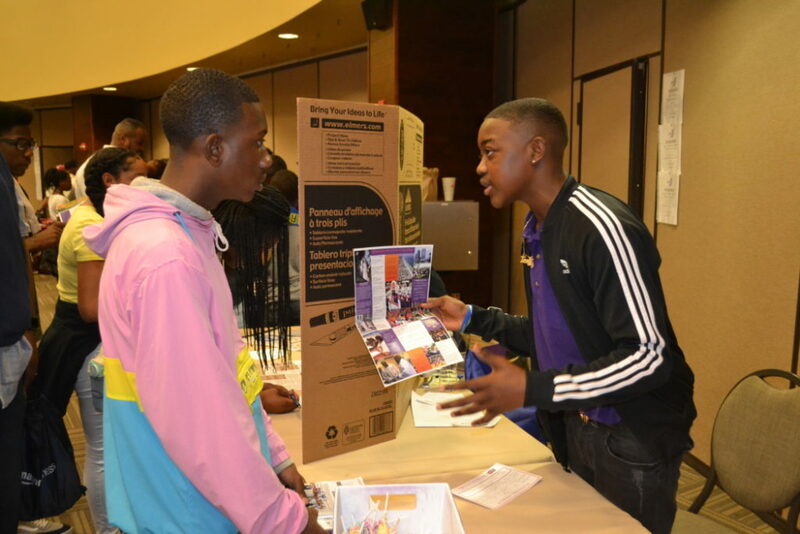 The goal of the HBCU Alumni San Diego Expo is to bring together, alumni, educators, mentors, students, recruiters and local dignitaries to inspire and support students—who aspire to attend college at historically Black colleges and universities. During the event, students have an opportunity to meet one on one and interact with professionals that share with students first hand knowledge of the HBCU experience. Some of colleges on hand included: Howard University, North Carolina Central, Fisk University, Edward Waters College, Morehouse College, Xavier University and Kentucky State University, just to name a few. The event featured various workshops and panels including— My current experience at HBCU, The FAFSA Process, HBCU STEM Experience, My HBCU Life and more. Created in 2014, HBCU Alumni San Diego is a non profit organization consisting of local alumni who originate from or have moved post baccalaureate to San Diego County. They believe in the ideals of their individual institutions, but also in the mottos of other HBCUs and are committed to the advocacy and mentoring of local students. The mission statement of HBCU Alumni San Diego is: Unite to network, fellowship, spread awareness and recruit in surrounding areas. Alexis Wilson, Howard University Alumna wears her sweat shirt proudly. UNCF Representatives, Karen Huff (L) and Yvette Porter-Moore and Portia Dionne on hand to give out college fund information. This year, founder of the HBCU Alumni San Diego, Chaunteal Webb-Candler (Clark Atlanta University) was presented with a plaque from the City of San Diego, proclaiming January 21, as Historically Black Colleges & Universities Alumni San Diego Day. Newly appointed District 4 Councilwoman Monica Montgomery (Spelman College) and Council President Georgette Gomez presented Webb-Candler with the plaque. Sophomore Torien Nelson gets information from Edward Waters University. Click here for more information on HBCU Alumni San Diego.